Looking for Auto Detailing Calgary? 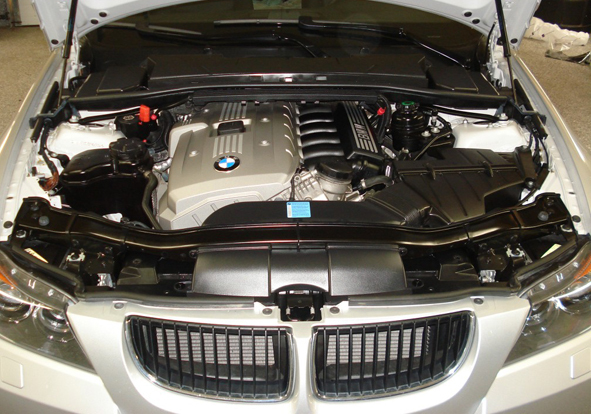 : Car Cosmetix Inc.
Are you looking for auto detailing Calgary? It doesn’t matter what vehicle you drive – unless it’s gleaming it won’t be turning any heads. Over time dirt and pollutants can form a film over your car’s paintwork that can leave it looking dull and lacklustre, even after it’s been washed. Car Cosmetix Inc. in Calgary has a range of auto detailing solutions that can restore your car’s paintwork to showroom condition. No amount of power washing can compete with the results you get from treating your vehicle to a thorough hand wash and hand dry from Car Cosmetix Inc. Brake dust can be notoriously difficult to remove from an otherwise gleaming set of rims, so they will receive special attention as part of our auto detailing package. And so will the tires, which will be treated to a dressing for that showroom shine. Finally a wax and paint protection is applied by hand to your car to help it repel future contaminants and allow you to continue enjoying the benefits of your detailing long after the next rainfall. If your car’s dulling paintwork is down to scuffs and scratches, you might want to consider Car Cosmetix’ Power Polishing and Wet Sanding. Whether it’s needed for the whole vehicle or just a single panel, this advanced 3 stage process will have your tired paintwork looking as good as new. And these are only some of the auto detailing services we offer at Car Cosmetix. For more info check out the Auto Body Detailing & Power Polishing page of our website or Contact Us.